The final roundup of classic traits of a sociopath include failing to accept responsibility for his own actions; many short-term romantic/marital relationships; possible juvenile deliquency; breaking parole or just not showing up for court appointments; and criminal versatility. Possilbe juvenile delinquency? Yes, but not all sociopaths are actually caught up in the court system. Many between the ages of 13-18 may participate in activities that could land them in jail, but often don’t. Don’t forget, they’re exceptionally gifted liars and are often able to talk themselves out of trouble. They walk away from such an encounter laughing at how easy it is to fool the authorities. Since a true sociopath has very little sense of conscience, it doesn’t trouble him in the slightest to ignore hearings, appointments with a parole officer or other legal authorities. They know the chances are slim to none that they will be called into account, so they’re willing to accept the risk. Criminal versatility is simply the ability to change their illegal activities from one MO to another. Often, when a sociopath becomes violent, he is very hard to find because he doesn’t stick to one particular style of assault or killing. He’s willing to try all different things to help him avoid being caught. It’s not a pretty picture. There are some things I need to say here that I hope will encourage you, because not all sociopaths are criminals. They do NOT all rise to the level of murderers. Those are the ones we know about, and tend to believe that anyone who is a sociopath is, ipso facto, also a monster. This belief is an overstatement, and needs some clarification. The truth is, we all have some sociopathic tendencies. For instance, we all lie. We are all selfish to one degree or another. We are all capable of enjoying someone else’s misery, especially if that person has gotten in our way. The human heart, according to Jeremiah 17:9, is deceiful above all things and desperately wicked. The good news is that Jesus’ death and shed blood at Calvary, with His resurrection and victory over death and sin, is the cleansing agent for the human heart. It is available to all, including murderers, if they will appropriate the free gift of salvation. Ted Bundy’s testimony, the day before he was executed, is that he had become a Christian. It is possible for a sociopath/psychopath to repent of sin and come to Christ for forgiveness and salvation. Is it possible, however, for such a person to learn to live “normally” in society, doing no harm? I believe that it is. Much depends on the level or degree of dysfunction the person suffers. Much depends, of course, on his own desire to live as normal a life as possible. Living with a sociopath is extremely difficult, even if the level of dysfunction is fairly mild. I’ve looked at several sources for more information on this issue, and here is one article you may find helpful, especially as you scroll down to the section on How to Deal with a Sociopath. In my work, there is one consistent behavior that shows up over and over again that enables a sociopath to continue his conscience-free existence: People who are close to him make excuses for him. They never believe he’s capable of the things he’s accused of. They blame everyone else, but not the one who is truly guilty. The enable him to go on his way undisturbed because they will not call him to account for his behavior. Strangely enough, one of their biggest worries is hurting his feelings. The sociopath is often quite proud of his sexual attractiveness. He is promiscuous, indulging in many brief affairs. He likes to think he is what all women want, and he has no problem being with several women. He likes to brag, too. He believes other men envy him because he’s so irresistible. This man’s murders always included sexual assault. Ted Bundy chose attractive young women he could charm, and it worked for him. That’s not true of every sociopathic killer, but it’s not unusual, either. His abberant behaviors often start before he’s 13. He can have a history in the juvenile justice system. He may have been a bully, and was almost certainly a chronic but successful liar and cheat. His charm often fools his parents into making excuses for his terrible behavior. The sociopath has a hard time fulfilling long-term goals. His restlessness keeps him moving toward the next new experience. He gives up one thing for another quite easily, has a hard time staying in one job for any length of time, and just generallyfloats along on a cloud of expectation that somehow things will all work out–or that other people will take care of him. He is extremely impulsive. He doesn’t resist temptation while he thinks through whatever he wants to do. He needs gratification right now, and woe be to the one who gets in his way. He is often physically reckless, doing things most people would consider just stupid. His irresponsibility often gets in the way of his longed-for success. He can’t be depended upon to keep his word, to simply follow through on day-to-day obligations. He walks away from debts, loans, legal agreements and relationships without a qualm. He has better things to do, higher mountains to climb, wider rivers to cross. Next Friday, we should wrap this up. I don’t know about you, but I find this study a bit depressing. The pain these people bring into the lives of others, especially those who try to help them, is difficult to see. In our study of this personality, we’ve learned that sociopaths differ from psychopaths mostly in the degree of violence they’re willing to use to gain their ends. Sociopaths can actually function well in society, where psychopaths tend to find social interaction very unpleasand and difficult. The other traits we’ve looked at include surface charm and a glib tongue; an over-inflated sense of self-worth; a need for constant stimulation, and pathological lying. Next is the sociopath’s unique ability to con and manipulate people and situations to gain his ends. He is a master at manuevering around people and situations to accomplish his goal, which is always involved with some kind of gain to himself. He may even seem to be trying to make things better for others. It’s a ruse. He’s really interested only in furthering his own gain. He is never bothered by remorse or guilt for the pain he causes others. His attitude is completely without empathy for his victims. He he tends to see them as stupid, unworthy, and getting exactly what they deserve. He is disdainful of almost everyone else. There is no such thing as conscience. He has what we in the mental health profession recognize as a shallow affect. His feelings don’t go very deep, in spite of his apparent charming exterior. The only emotions he may feel deeply include anger growing into rage if he is thwarted, and a deep disdain for other people. His superiority to others is unquestioned in his own mind. He doesn’t really feel any loyalty or commitment to anyone else, and he will leave relationships without any sense of loss when it suits his own interests to do so. The sociopath lives a parasitic lifestyle. He expects other people to support his goals, financially and any other way they can. He expects to be boosted, given special privileges. Anyone in his life who has money is a mark for his attention. A refusal to give him what he wants results in his rage and desire to get revenge. He has poor to none when it comes to behavioral controls. The unwritten rules for appropriate behavior in society don’t touch him. He expresses his negative emotions easily and sometimes physically, if he thinks he can get away with it. Irritability, annoyance, impatience, threats, aggression, and verbal abuse are characteristic. He demonstrates inadequate control of anger and temper, and he acts hastily, giving no thought to results of his behavior. When confronted, his lies are quick, easy, and believable. He can even work up tears if he needs to, in order to convince everyone that nothing was ever his own fault. Don’t expect these folks to “get better” with counseling or confrontation. The only thing that can come close to working positive change in their lives is the power of the Holy Spirit of God. Glib and charming, sociopaths often seem like the most fun people you could ever be around. When you are around them a little longer, though, you find that they are totally self-involved. Everything they do is centered on what the gain for themselves will be. Far from lacking in self-esteem, they think very highly of themselves indeed. These folks are full of a grossly inflated view of their own abilities and importance, truly believing that all eyes should be focused on them all the time. They are opinionated, cocky braggarts. Psychopaths are arrogant people who believe they are superior human beings. They are often easily bored, and seek constant stimulation, something new, something just a little riskier than what they’ve already done. They are risk-takers, and may seem very exciting to be with. However, once the excitement goes away they’re often restless, angry, and sarcastic. Easily bored, they look elsewhere for stimulation. They’re not much good at relationship once the shiny new has worn off. They are experts at finding ways to not do tasks they find boring. They lie. As Dr. Phil would say, if their lips are moving, they’re lying. The lying can be shrewd, crafty, cunning, sly, and clever; they’re expert at concocting stories that have no shred of truth, but are completely believable. At their worst, they are deliberately deceptive, deceitful, underhanded, unscrupulous, manipulative.They do and say what they have to in order to gain the result they want—and are entitled to. If you are hurt by their lies, then you shouldn’t have gotten in the way. Friday Counseling Issues: What is a Sociopath? 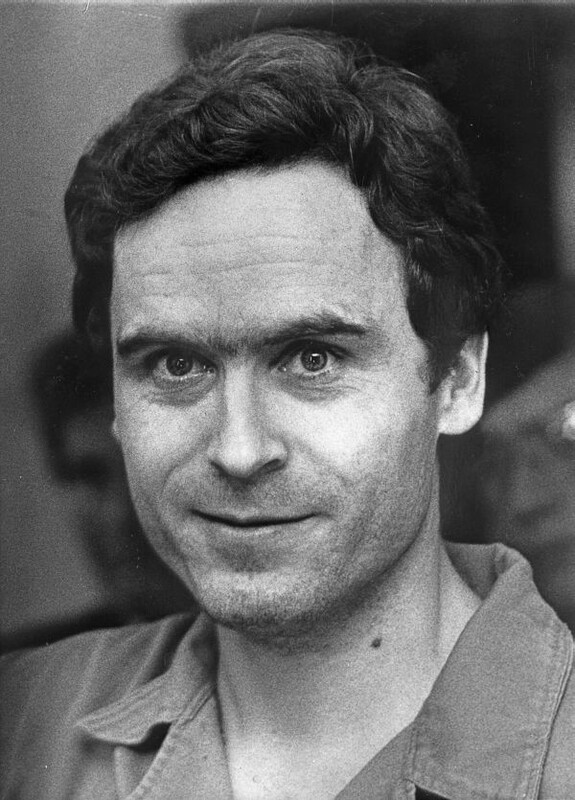 This is Ted Bundy. He doesn’t look like such a bad guy, does he? He is known as a sociopath or a psychopath. They’re really pretty much the same thing. To me, the most chilling characteristic of a sociopath is that there is absolutely no conscience. This person has no regret, no remorse, no sense of guilt or wrong done to another. He believes that what he wants is what he must have, no matter what the cost to anyone else. He will do whatever is necessary to get what he wants. If that involves taking someone else’s life, well, that person shouldn’t have gotten in the way. Or deserved to die. A lack of conscience makes way for a long list of sociopathic behaviors. Right up at the top would be lying. Constant, deliberate, manipulative lying; not slips of the tongue, not an effort to avoid detection (although that certainly plays a part) but more of a cold, calculated and purposeful achievement of reaching a goal. Mr. Bundy was a master of deception, luring his victims in with charm, personality, and flat-out lies. So what is the difference between a sociopath and a psychopath? It seems to be a matter of degree. Sociopaths can live in normal society without doing physical damage to others. They may be considered antisocial, but many people with sociopathic tendencies are actually quite charming. They can be glib, engaging; wonderful story-tellers, good with kids, and humorous. Just don’t stand in their way or call them to account for bad behavior. You’ll see the dark side. A psycopath is usually more of a risk seeker, impulsive, and fearless, as well as not being able to socialize normally. Sociopaths go to great lengths to look “normal” and even their families don’t always know who they are. Psycopaths take it to the next level, becoming more and more difficult to live with as time passes. Remember Scot Peterson? Handsome guy, financially successful, married to a beautiful young woman, They were happily expecting their first baby when Scot killed her, dumped her body in the ocean, and claimed she had disappeared. Well, I guess she had. He was finally “outed” by his mistress when he slipped up and said something that made her suspicious and afraid. It is not unusual at all for sociopathic men to have been the adored golden boys of their mothers, who believed they could do no wrong and always came flying to their recue if they got into trouble. Sociopathic behavior, of course, is not limited to men. Women can be even scarier, in my opinion. There’s lots of information on this topic if you want to search. Just be careful and discerning when you read, because almost everyone has a little different perspective on these folks. Some think they were born bad, others that they were the products of their upbringing. The old “nature vs. nurture” controversy.